Try our NEW Die Lifter Configurator! 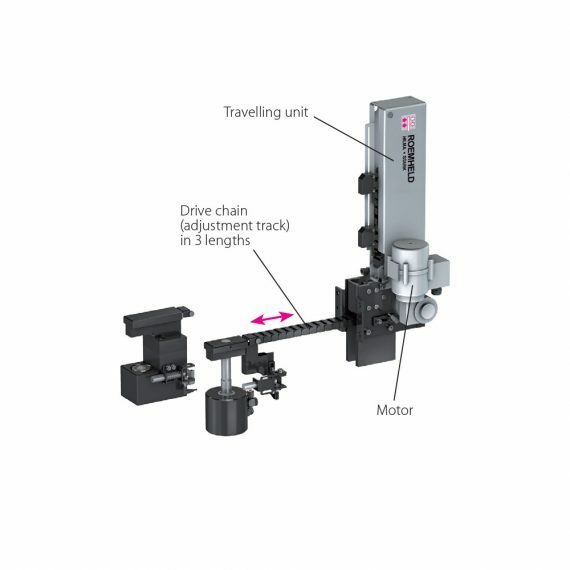 The electric motor driven chain moves the clamping element automatically from the parking position to the clamping position and back. 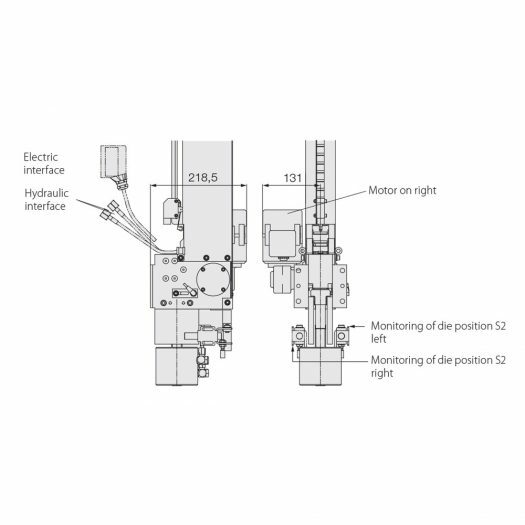 The T-slot of the machine serves as the guide for the drive chain and clamping element. The drive chain also houses the hydraulic and electric lines for the clamping element.